Connecting art and community to build understanding, inspire empathy, and spark civic engagement. 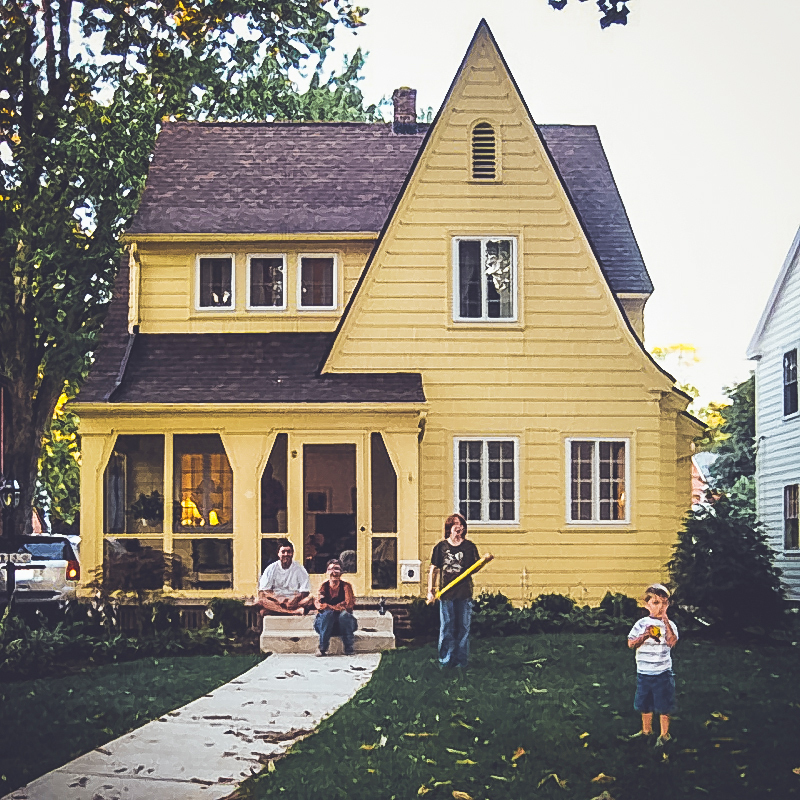 Yellow House is a place where art + action creates change. The space serves as a catalyst for personal and collective growth by displaying thought-provoking exhibitions, hosting public events, and promoting community dialogue. Yellow House will explore topics as varied as racial and gender equity, universal human rights, environmental sustainability, and the untold stories of people and neighborhoods that have shaped our history. Yellow House is more than a physical space; it is a hub for educational outreach and collaborations among artists, writers, organizations, and communities. After returning from WWII, Hope McMath’s grandfather moved to a house in Toledo, Ohio; he painted it yellow. McMath described the home as the center of her family’s orbit and a place where, watching her grandrather and uncle, became politically conscious and more connected to the arts. When she found the house at Phyllis and King streets, several people in the neighborhood described the seemingly colorless house as “yellow.” She was struck by the connection to her grandfather’s home. Yellow House has ties to art history as well. In 1888, Vincent van Gogh rented a house painted yellow in Arles, France. His desire for company and a sounding board guided him to turn the space into a “studio of the south” where artists could live and work together. He created some of his most beloved paintings to decorate the house, including “The Night Café,” “Starry Night over the Rhône,” and four sunflower canvases. “Every community needs a Yellow House.” McMath said. The hub for Yellow House activities is a small building that sits in next to the CoRK Arts District, a campus of over 80,000 square feet of warehouse space centered around artist studios and galleries. It sits on the intersection between the Riverside, Lackawanna, and Mixon Town communities. This location puts Yellow House on the edge of communities that are integral to the history and future of Jacksonville, although they have been historically divided by race, economics, and the legacy of Interstate 10 that has served as a line of segregation. Within a one-mile radius some of Jacksonville’s wealthiest and poorest citizens reside; new and fashionable restaurants and stores sit only blocks from decades-old, historically owned black businesses; Baptist churches are a stone’s throw from one of the region’s only Buddhist faith centers; and in close proximity to several public schools, parks, and a community center. Yellow House sits between two sides of Jacksonville. Although Yellow House aims to impact the larger region, it hopes to make difference in the communities that surround it, with their input and leadership. ARTS AND HUMANITIES ARE VITAL to creating a more socially connected, cohesive, and just world. PUBLIC ENGAGEMENT in arts programming builds bridges between people, provides a platform for free expression, and gives voice to the creative assets in a community. 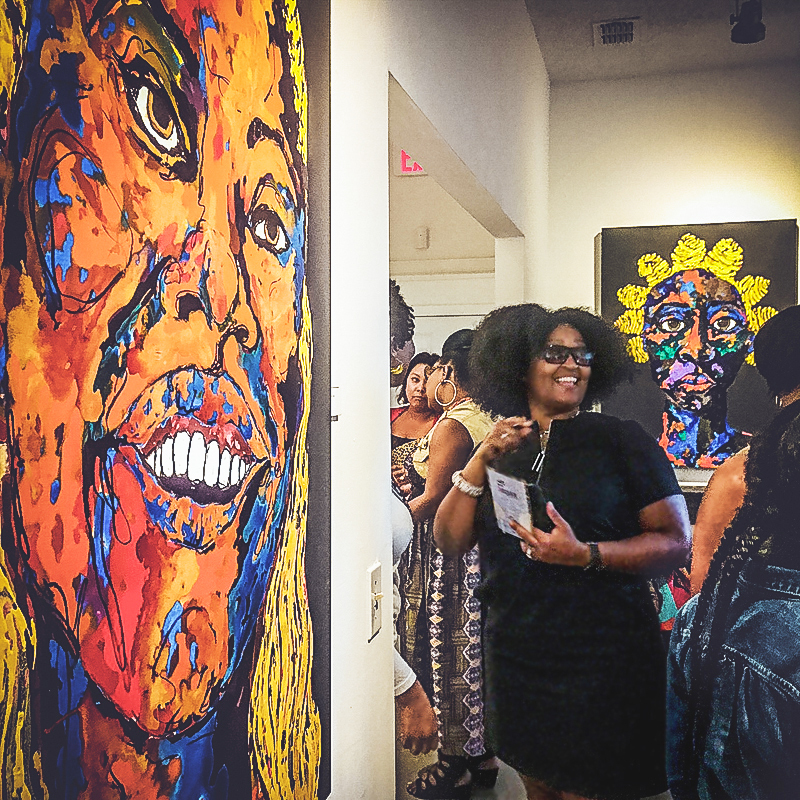 INCLUSIVITY AND ACCESS mean truly representing the diversity of the Jacksonville community in the artists we work with, the audiences we attract, the partners and individuals who shape the organization, the vendors we hire, and the art and stories we lift up. LISTENING AND LEARNING are important to the practice of art as social action and, when done authentically, will guide the work. SAFE AND BRAVE SPACES foster free expression, the creation of socially relevant art, and the process of building relationships. ARTISTS ARE IMPORTANT partners in creating a better community when they are valued and fully integrated into civic discourse. ART MAKING IS ESSENTIAL to well-being and becomes more valuable when it leaves its pedestal to become part of one’s everyday life. COLLABORATION provides a more meaningful, artful, and joyful way for cultural institutions, social justice organizations, and artists to fulfill their missions of positive transformation. ARTS AMPLIFY UNTOLD-STORIES, honor a diversity of lived experiences, and bring together unconnected people and communities.